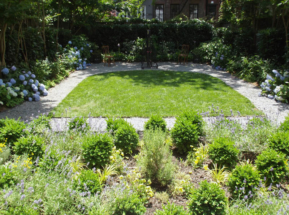 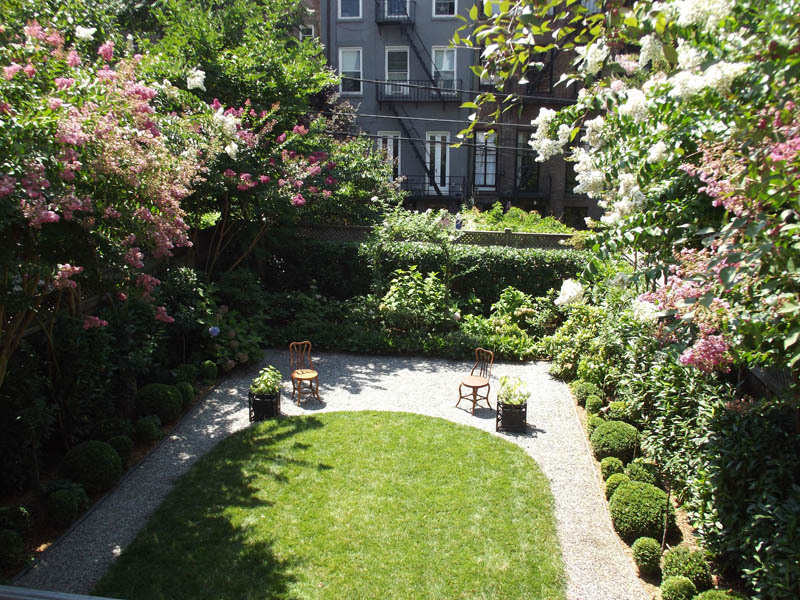 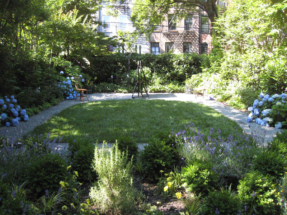 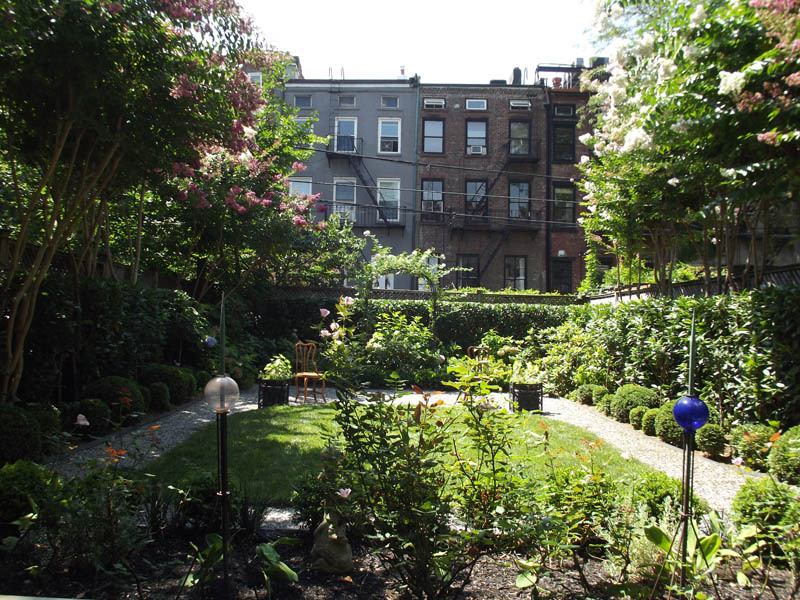 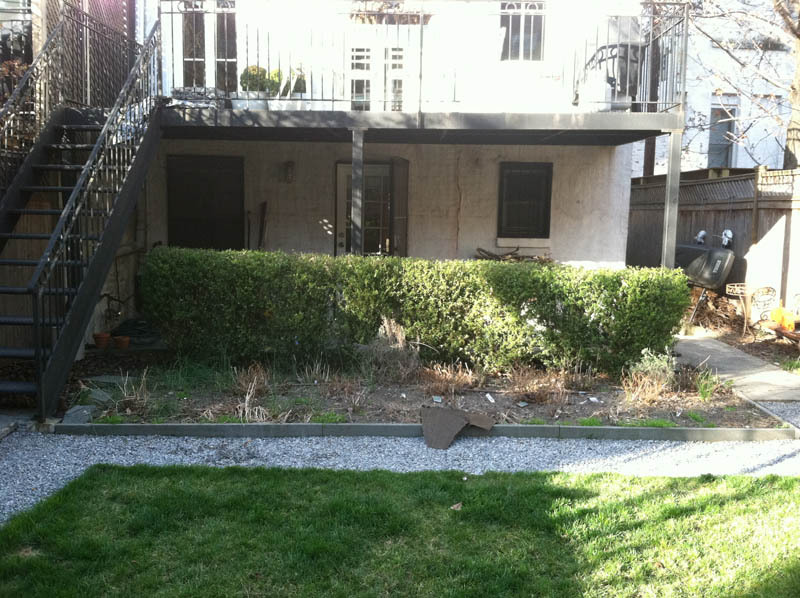 This formal brownstone backyard has the restrained, understated elegance of an English townhouse garden. The evergreen structure is populated predominantly with white flowers, however, in late summer, the pollarded crepe myrtles burst with color. 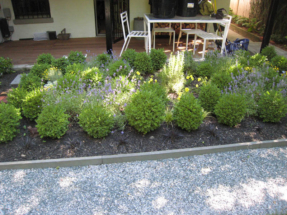 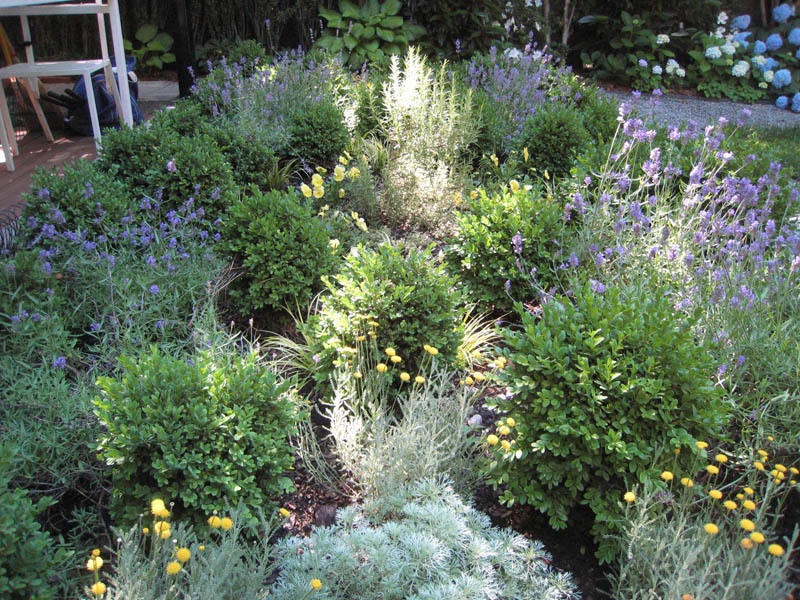 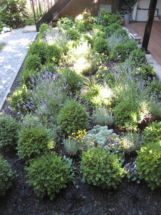 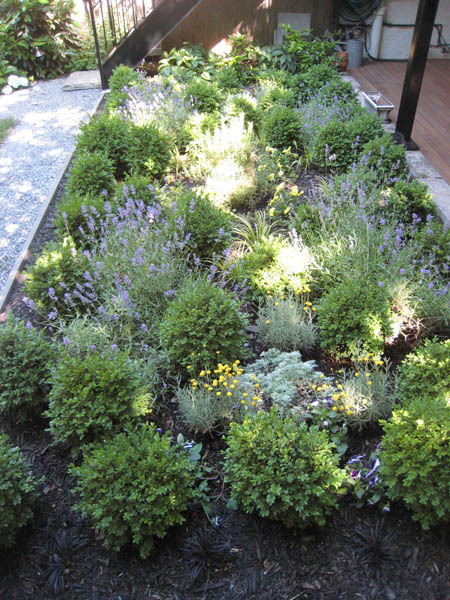 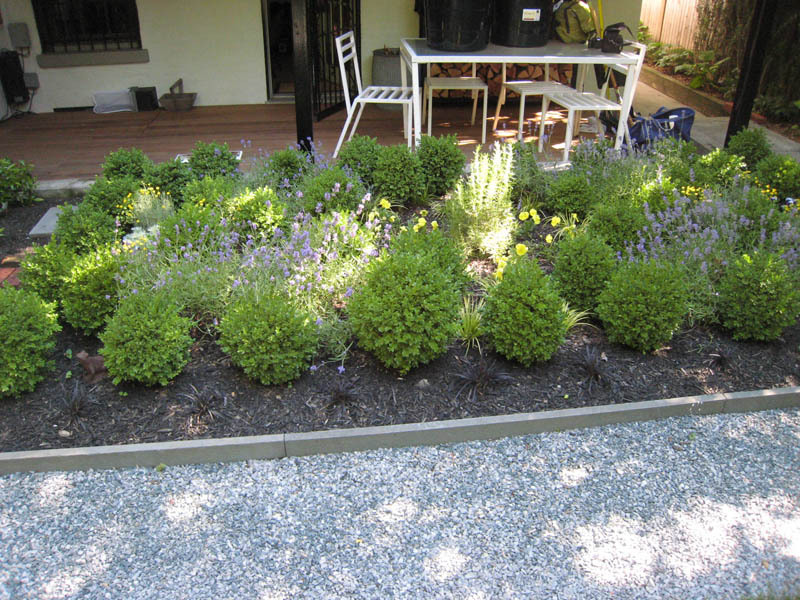 An aging hedge was transformed into a beautiful knot garden of intertwined boxwood and lavender, creating an enchanting view from the client’s office.